Though still in beta, we’re getting closer and closer to the addition of video customer reviews in Google Maps. Users who are part of the company’s Local Guides program can now shoot 10-second videos right from the Google Maps app (or upload 30-second clips from their camera roll). Google will soon roll this feature out to the public in the coming months. Do I really need Google video reviews for my business? Imagine searching for a product or service in Google. Google Maps already displays the most relevant businesses in a list, and displays their locations in the Google Map. Soon, Google will add icons that represent the video customer reviews left for each business right inside the Google Map. The real question is, Do you want to be the first local business in your category with these video customer reviews, or the last? What are Google Video Reviews? Google video reviews will be featured on the Google Maps Engine as part of a search result for local businesses. Businesses who have customers who post video reviews through their Google My Business Page will features these video reviews inside the Maps Page search result. 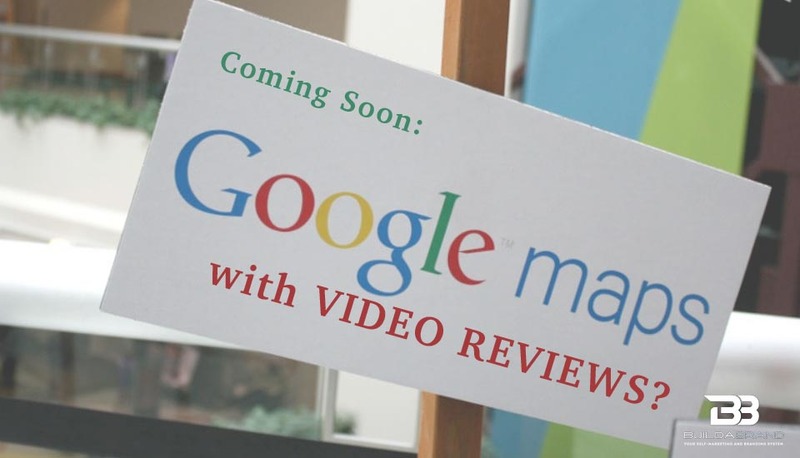 Why start creating video customer reviews for Google Maps? Word on the street says this is just one more way Google is leveraging their YouTube video platform. Not only does this mean even more uploads and traffic for YouTube, it also means easy converting of video review into video advertisement for businesses who don’t take the time to do video marketing on YouTube. Quick and Painless Video Ads? All on its way. Imagine your business having 9-10 video reviews. Google’s methodology is that they (not you) will combine your video customer reviews into a cohesive video ad for your business by splicing your video customer reviews together, and then add music and titles. The result? Creating a powerful video advertisement for your business using your most powerful resource: Your own customers. Are businesses prepared to make the shift from commented reviews to video reviews? Most businesses focus on Google and Facebook commented reviews, mostly due to the fact that most of the planet uses Google for search and Facebook for social media. Video reviews require either recording your customers while still at your facility, or hoping they can record themselves well enough to provide you with something you can actually use. Who gets to record the video? We’ve all seen the low-quality of many cell phone videos. YouTube is plagued with them. Video can be grainy and audio can be nothing short of awful. Even with iPhone’s stellar camera, most people shooting any type of professional video use an external microphone for better audio quality. The solution, is to take control of video production by making it part of your sales process. Rather than depend on your customer to record a quality video and end up with garbage, it’s probably best to make recording video customer reviews an integrated part of your sales process, even designating a camera, recording area, and even an individual to record them. Is offering a script to my customers a good or bad thing? Most businesses with great online reviews coach their customers when it comes to their reviews. Our suggestion is to provide your customers with examples, along with an easy ay they can make them their own. Worst case, they say what you provide, and you at least end up with a good review, albeit canned. The solution: Control as much of the video recording process as possible. What’s the best way to get video customer reviews? The short answer: Ask for video reviews, and be sure to capture them before your customer leaves your facility. Customers are going to need some guidance on this, since it requires a Google Account, and is accessible only through a search result in the Google Maps Engine. To record or upload videos to Google Maps, you (or your customer) will have to search for and select your business in Google Maps, scroll down and tap “add a photo,” tap the “Camera” icon and then hold the shutter to record a video, or upload one from their camera roll. Should businesses ask for video reviews? Yes! If you look at any business that has a decent amount of Google or Facebook reviews, you can bet they’ve been asking their customers for reviews. So far, only Yelp has a problem with businesses soliciting reviews from their customers. After all, it’s still up to your customer to deliver! Are you prepared for Google’s Video Reviews? Build-a-Brand offers a simple video review engine that all of your employees can use to capture and publish Google video customer reviews. Click here to schedule a demo with Build-a-Brand today.